The Court of Appeal decision to quash the 1979 convictions of Raymond McCartney and Eamonn MacDermott is likely to impact upon hundreds of other former POWs convicted solely on confessions extracted during brutal beatings while being held in interrogation centres like Castlereagh. Sinn Féin MLA Raymond McCartney was convicted of killing industrialist Jeffrey Agate and RUC officer Patrick McNulty in 1979, despite the fact that the only evidence against him was forced confessions, verbal admissions and statements concocted by interrogation officers who repeatedly beat him. 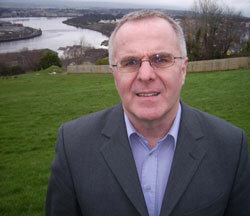 Eamonn MacDermott was also beaten, throttled and punched by RUC officers whilst in Castlereagh. He was only 19-years-old when he was jailed for the murder of McNulty. Appeal judges quashed the convictions after hearing evidence not made available during the two men’s original trial. John Donnelly, a third Derry man interrogated about the Agate killing by the same RUC team in Castlereagh, was not charged after allegations of brutality were upheld by a subsequent investigation. Campbell said that if the original trial judge had been made aware of this, “it is possible that it may have influenced his decision to accept the Crown case that McCartney and MacDermott, who had been interviewed by the same team of detectives as Donnelly, had not been ill-treated”. McCartney, who spent 17 years in prison, said the ruling was a vindication for all those who took to the streets to protest against the conditions faced by prisoners at the time. “Hundreds of young nationalists were rounded up, beaten in interrogation centres and convicted in non-jury courts on the sole basis of so-called confession evidence. I hope this ruling encourages others to seek justice by having these unsafe convictions quashed,” said McCartney. “The decision made by the Court of Appeal totally vindicates that which I stated from my first appearance in court in February 1977, that I was brutalised and tortured in Castlereagh RUC Interrogation Centre. “The Diplock court system was exposed as the sentencing tribunals that they were set up to be. All of those, be they former political prisoners who suffered similar treatment, campaigners and those within the legal profession, can take some comfort in this decision. All of us have lifted the lid on the conveyer belt system,” said McCartney. On a personal note, McCartney pointed out that both his parents are still alive - unlike Eamonn MacDermott’s - and able to share the moment. “My thoughts are with them and also with the MacDermott family and my gratitude with all those who help us along the way,” said McCartney.